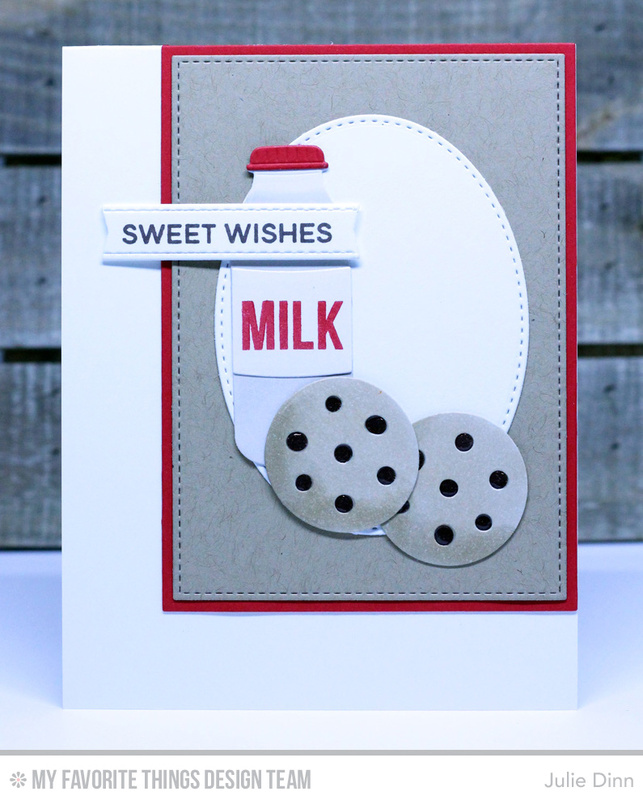 I LOVE the new Cookie Crumbs stamp set and You're the Milk to My Cookie Die-namics. I couldn't wait to ink them up for the new Sketch Challenge. I die-cut the milk bottle and the cookies in X-Press It card stock so I could color them with Copics. I added a touch of gloss to the chocolate chips to give them that bit of shine. Loved the cookies and milk. Sweet card that could be used for many occasions.